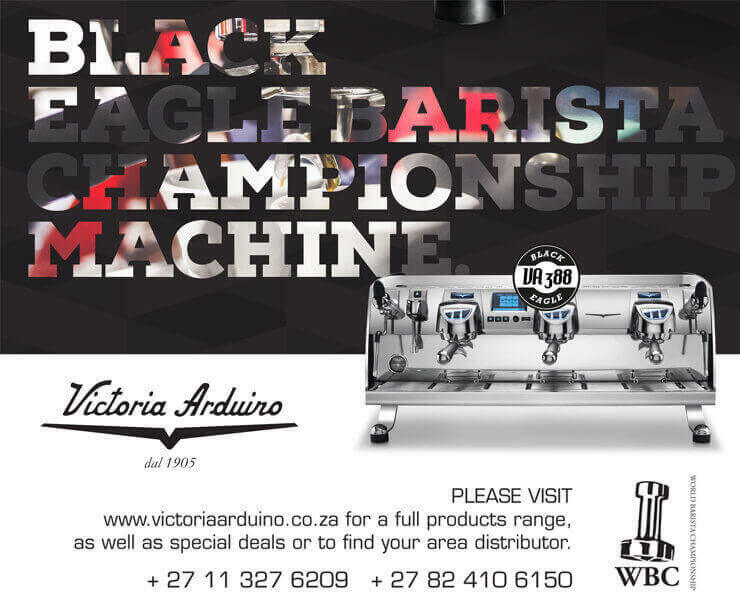 The Stage is Set: Update on the SA Champ! The Champ's training is in full swing! 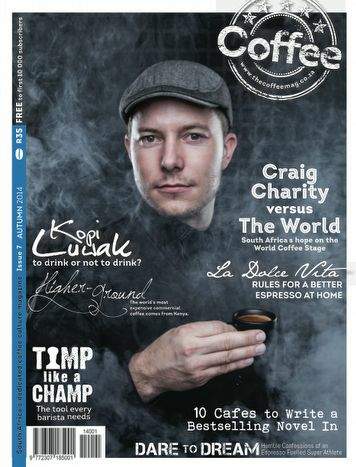 We went to visit our latest cover star Mr Craig Charity (if you haven't got your copy yet, the time is now!) 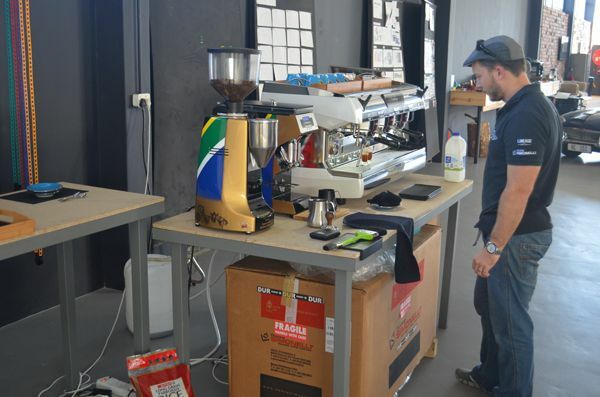 at his WBC set up in Hillcrest. Again, due to his epic support crew, Craig has found a home at Dima Agencies. These cats are super cool and it is an incredible creative space to work in. 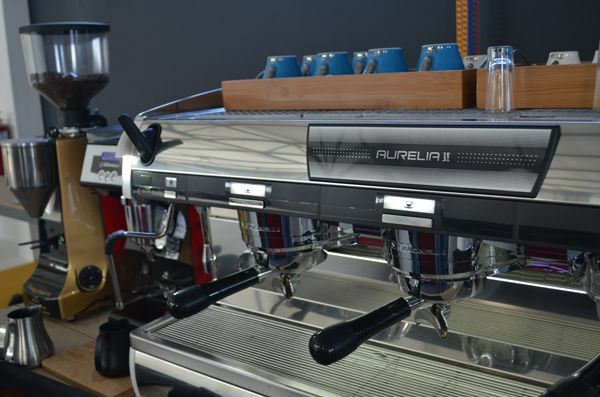 I think they feel pretty lucky to have Craig around too, because he keeps making them life changing coffee as he practices. We walked in to see 3 Ferrari's and a snazzy little Mini Cooper just hanging out on the studio floor. 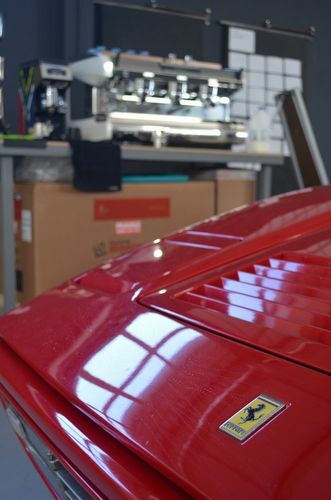 It just felt right that on the verge of travelling to compete in Italy, Craig is surrounded by Italian beauty, not only the cars but also the Nuova Simonelli Espresso Machine. 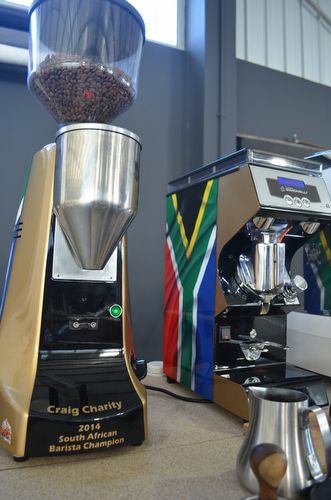 Craig's set up involves taking his own grinders with him half way across the world. These grinders have been custom spray painted to give the man confidence in a foreign country. Damn, they look good. 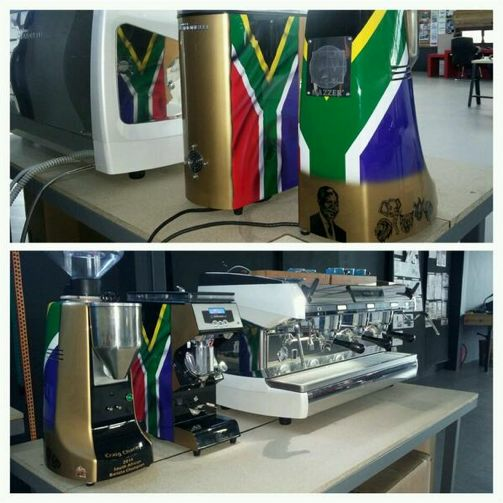 Introducing the Madiba Robur and the South african flag enrobed Mythos 1. We were lucky enough to hear the introduction to his set, which also introduced us to the coffee beans he will be taking with him. We're not going to jinx anything and reveal just where those beans hail from just yet, because they have yet to arrive in the country, but safe to say the story alone is enough to get our senses tingling!